The power transmission line crossing Lake Ponchartrain is one of the most visible proofs of Earth’s curvature. 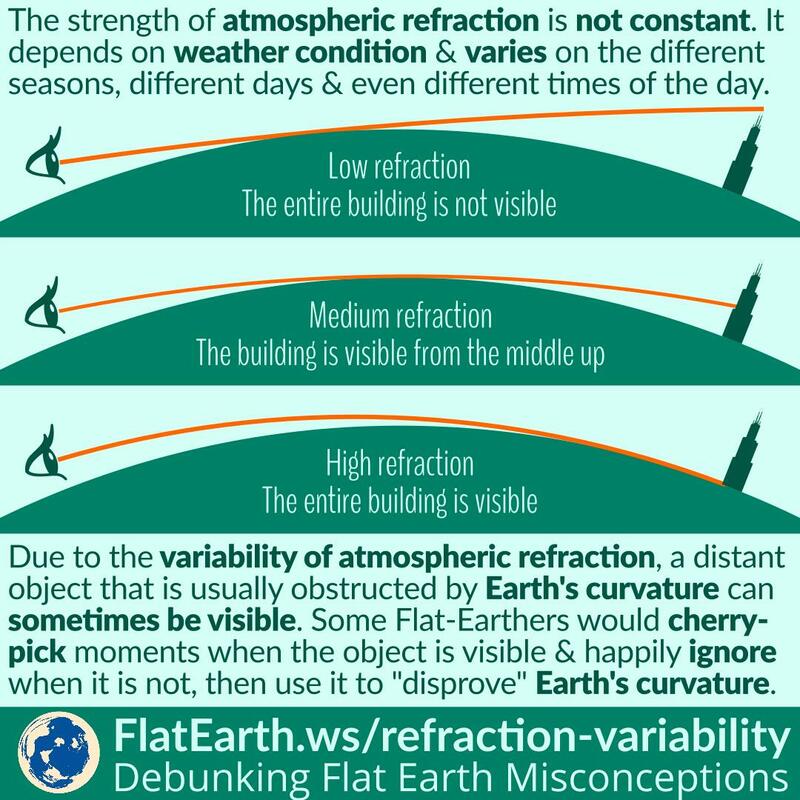 However, a flat-Earther has managed to capture a video where the curvature appears far less pronounced, and proclaim ‘curvature does not exist.’ He went as far as accusing others of manipulating the pictures/videos which clearly show the curvature. In reality, all the videos are real. The difference is normal due to the variability of atmospheric refraction. In this case, the unscrupulous flat-Earther simply cherry-picked moments when it shows what he wanted others to see, and happily ignore the other cases. Accounting for the variability of atmospheric refraction, the spherical Earth model can accommodate both situations. On the other hand, the flat Earth model fails to explain all the observed cases.